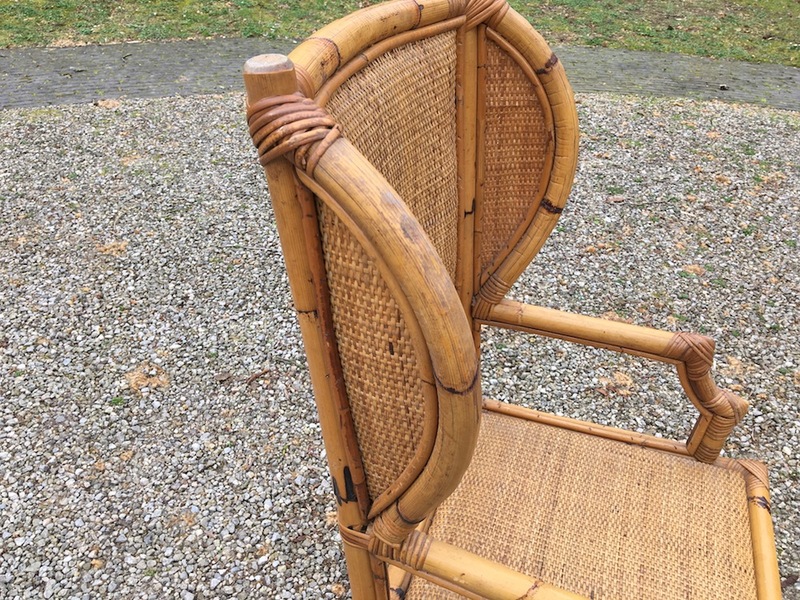 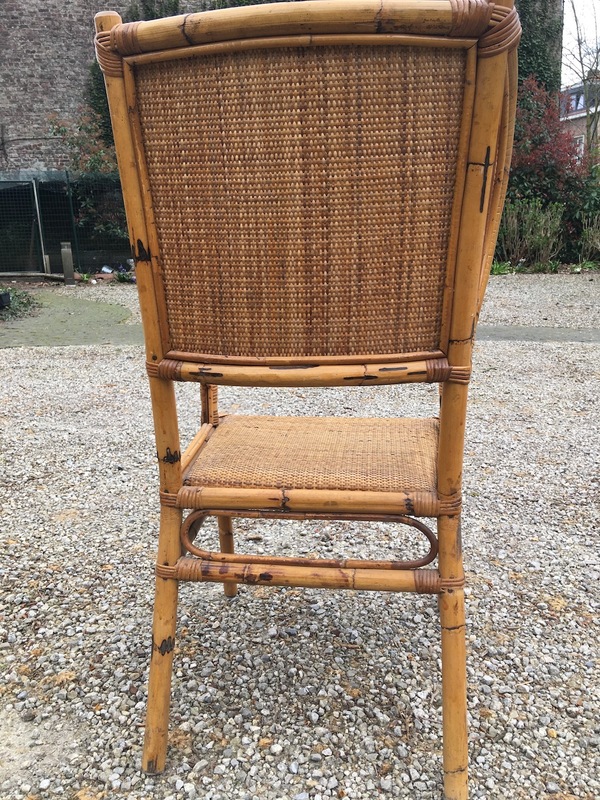 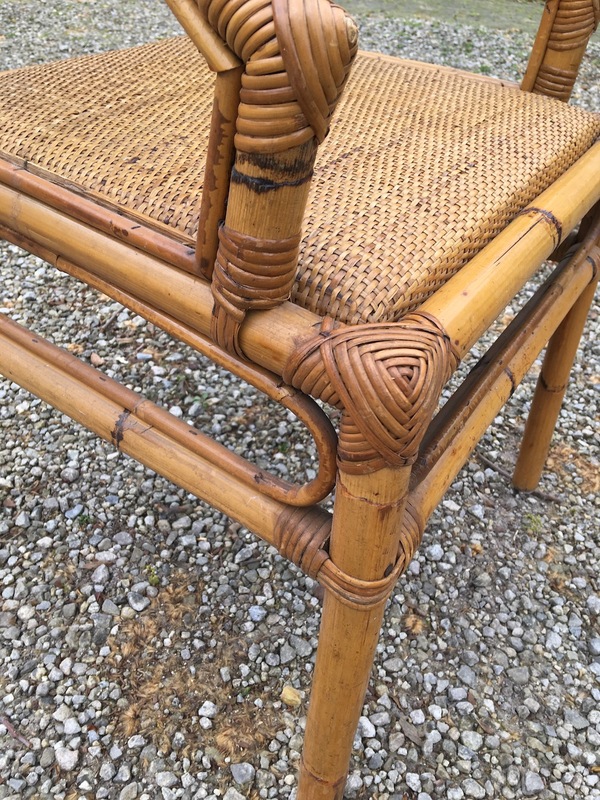 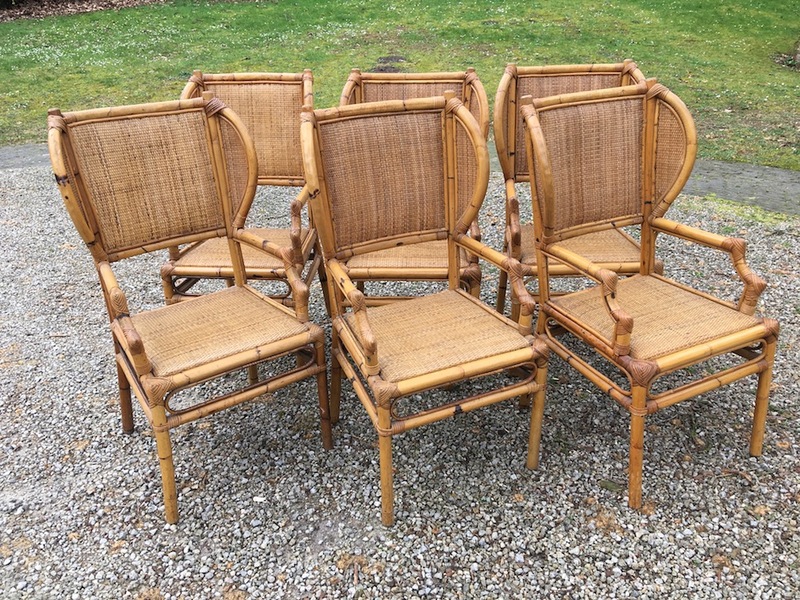 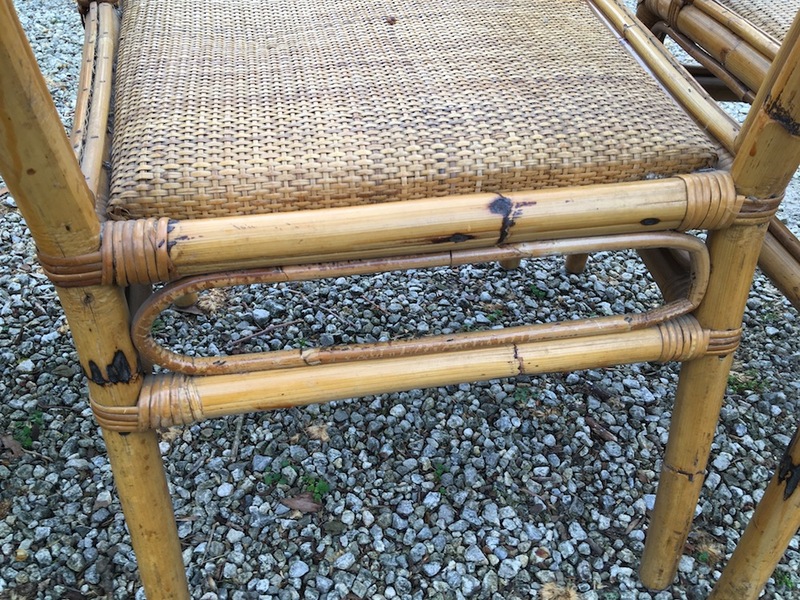 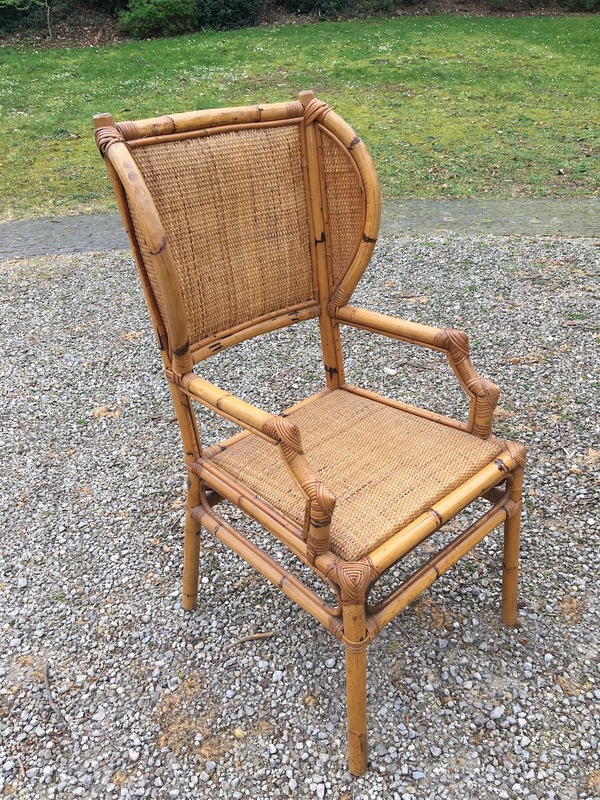 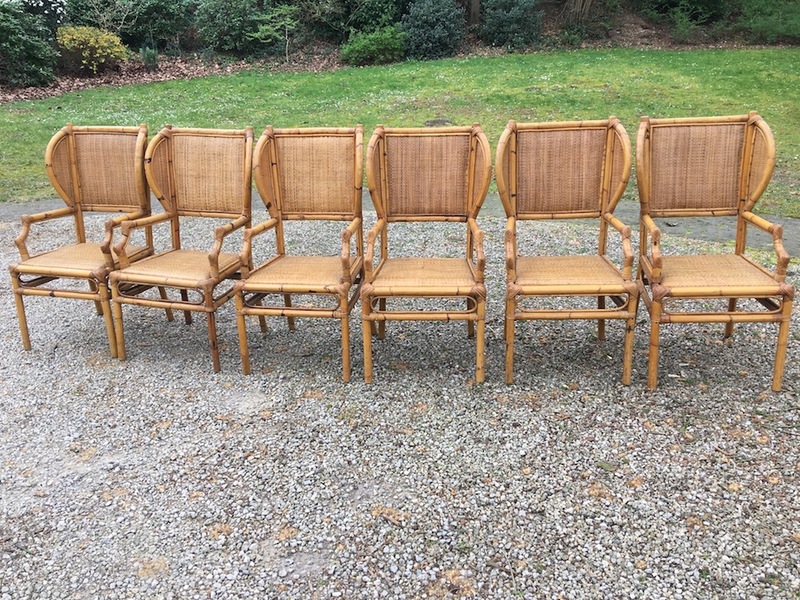 Fantastic set of 6 bamboo chairs in mint condition. 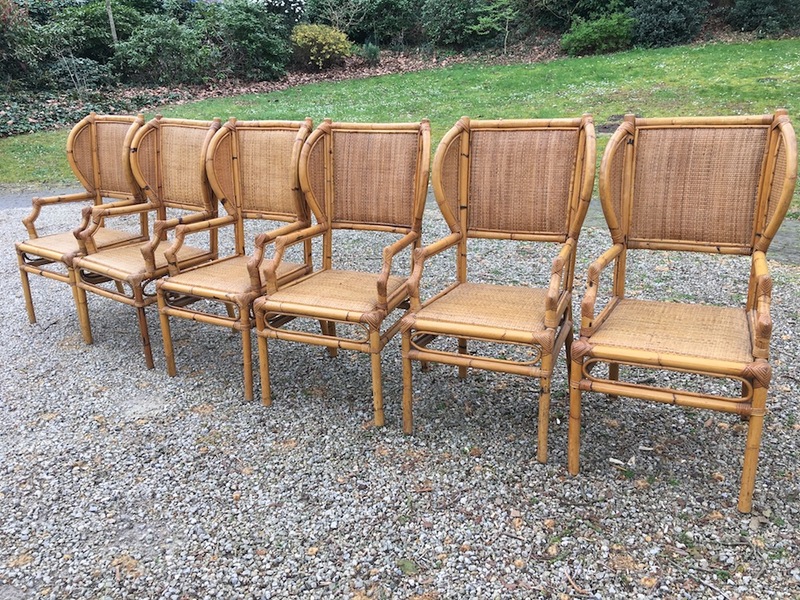 They look really great with their armrests and high backrests. 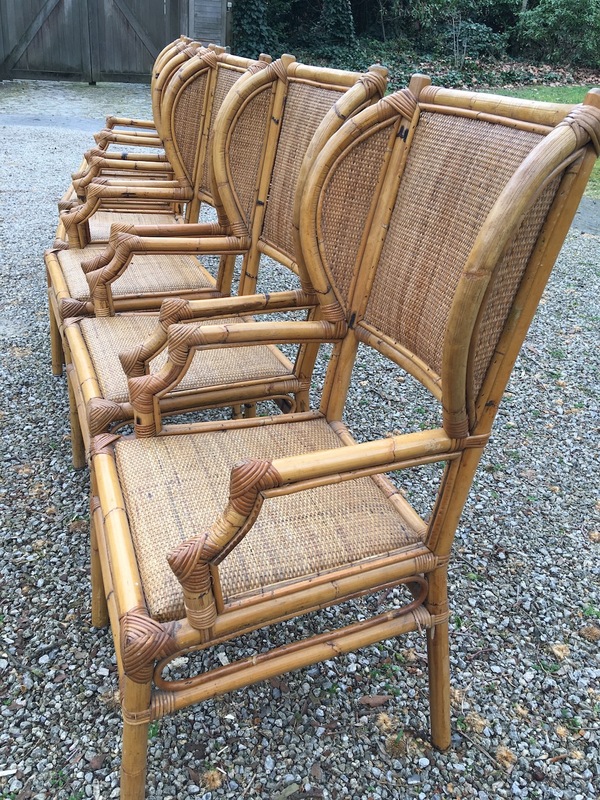 If I had a terrace with a roof or a barn or an orangerie I would certainly know how to decorate it! 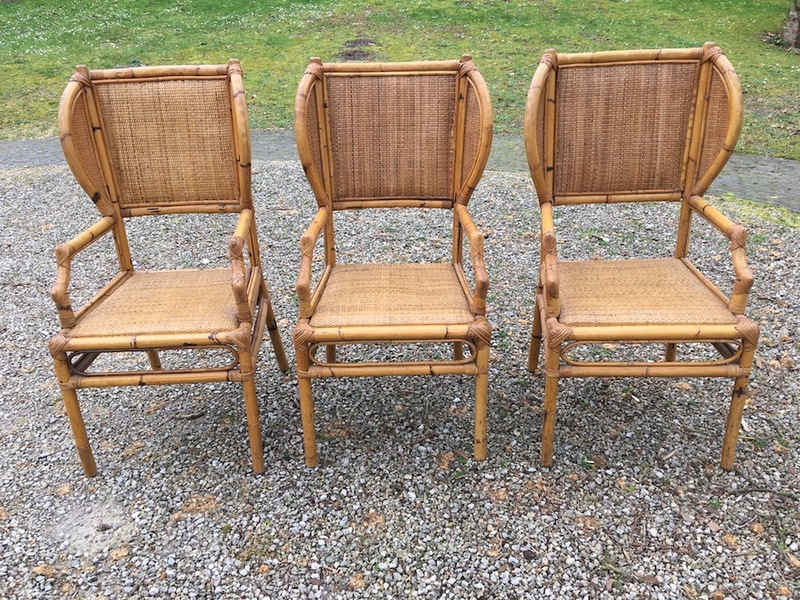 These chairs would each have a coloured cushion to give them a boho look, I would lighten a huge amount of candles, invite my best friends over, prepare the best homemade meals and remake the world on a long summer evening ;-) If you have a big bedroom it would also be very elegant to have 2 of them. 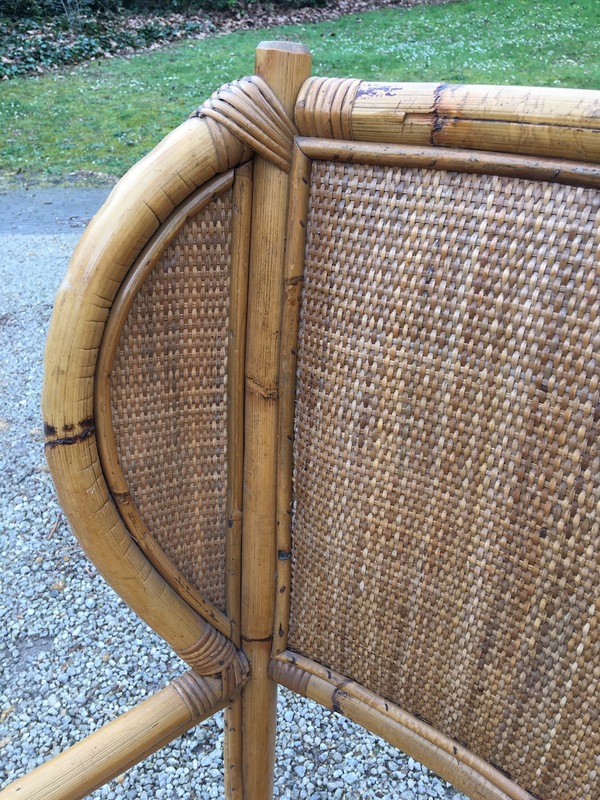 Beautiful details on 4 last pictures. 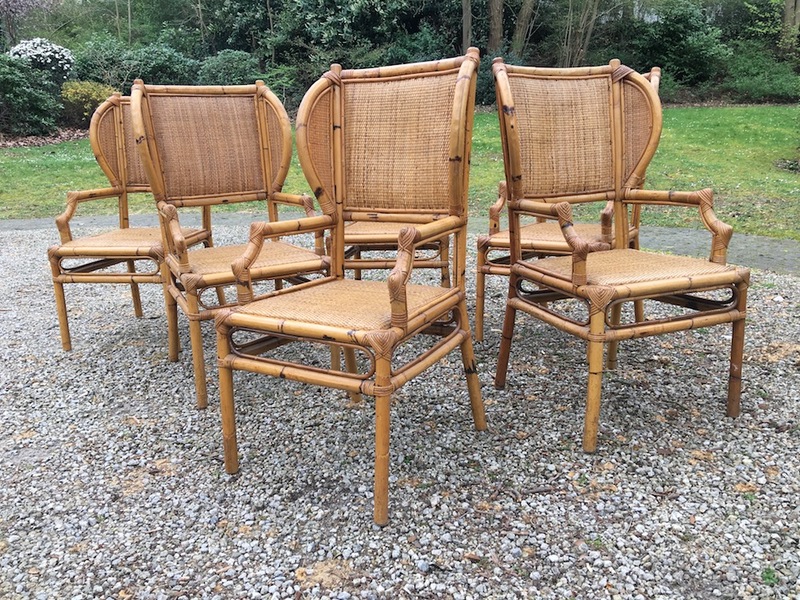 Sold by pair or set of 4, 6.